Should I bring USD or exchange to Euros or Canadian dollars? US Dollar Value – The Cuban peso (CUC) is fixed to the American Dollar (USD) at 1 to 1. This means that on a technical level, the CUC and the USD hold equal value. BUT…. Exchange Rates – In practice, when you exchange American dollars to Cuban Pesos (CUC) in Cuba, you will have to pay a 10% penalty. This means that 100 USD will automatically be worth only 90 CUC. After that, there is a standard 2.5% exchange fee (which all currencies pay). Once all is said and done, you will get only 87.5 CUC for each 100 USD you exchange. 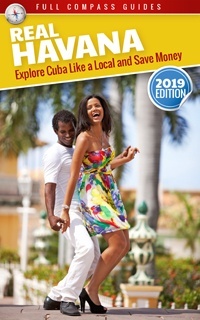 In order to avoid the automatic 10% exchange penalty, some Americans choose to convert their USD to Canadian dollars or Euros before arriving in Cuba. This method can save some money, but it depends on how much your local bank (in the United States) will charge for converting your USD to Canadian dollars or Euros or other currencies. Note that banks will always say that there is no exchange fee to convert currency. This is misleading. Although there is no “fee” to exchange money, you will pay a commission which the bank calls a foreign exchange spread, and this is usually 5% to 10%. Beware of this. The amount of savings you might realize from converting USD to other currencies before coming to Cuba depends on how much of a commission you American bank charges. If you can get a great exchange rate (in the United States) on the foreign currency then perhaps it makes sense to face the hassle of the double conversion. But if exchanging to the foreign currency only gives you back a slight advantage over the normal 1USD = 87.5 CUC rate, then obviously it’s not worth the trouble. 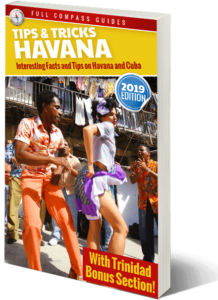 If you are not planning on spending much money in Cuba then it won’t make a huge difference. If you exchange 1000 USD to Canadian dollars and then to CUC you might end up saving about 30 to 40$ overall. It will be hard to squeeze out more of a savings than that. American dollars are not accepted as currency in Cuba. You can’t just go to a store or restaurant or hotel and use American dollars (or any other foreign currency) to pay your bill. Cuba is an independent country with it’s own currency. While in Cuba you have to use Cuban currency to pay for all your expenses. Most countries are like this. You will always have to exchange your money to Cuban currency if you want to buy things in Cuba. Some locals might take your USD, but generally speaking, you need Cuban currency while in Cuba. You can get a much better exchange rate of USD to CUC by exchanging money directly with Cuban locals. For example, you might meet people on the street, offering to exchange you 100 USD to 95 CUC. But note that this can be dangerous (as you can be robbed) and it is also illegal in Cuba to do currency exchanges with locals. You can only legally do an exchange at a bank or CADECA exchange office. So, if you do get robbed while doing a currency exchange with a random local, the police will not help you. Jane is American. She is going to Cuba. She plans to exchange 1000 USD. What are her options? If she brings the 1000 USD and exchanges it for CUC in Cuba, she will pay a 10% penalty and then a 2.5% commission, leaving her with 875 CUC. If she wants to avoid the 10% penalty, she can convert the 1000 USD to Euros while in the United States, and then convert the Euros to CUC while in Cuba. In the United States, her bank will exchange the 1000 USD to 810 EUR. Using the online currency calculator from the bank of Cuba she sees that those 810 EUR can be converted to 895 CUC. So, bringing Euros instead of USD, will give her 20 CUC extra. For practical purposes: It’s up to you to decide if it is worth the trouble of exchanging to EUR. You don’t gain much. Plus you have to consider that if you don’t exchange all your EUR to CUC, then you will be left with EUR at the end of your trip, and you might have to exchange that back to USD, which would incur an additional exchange commission again. Generally, for these reasons, American tourists usually just choose to convert USD and take the 10% penalty, rather than switching currency.